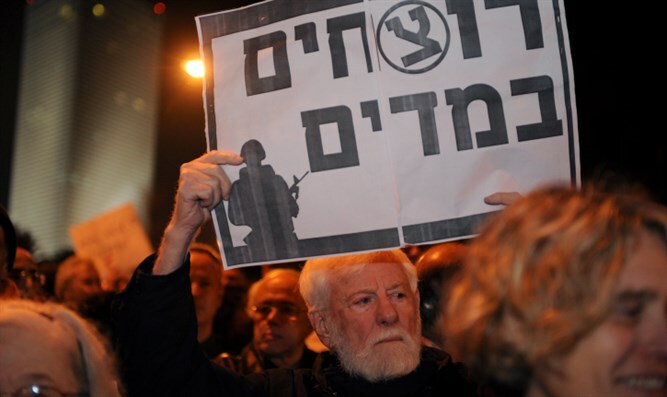 The recently passed Former MK and publicist Uri Avnery is the real creator of the BDS movement. He had an inexplicable and naive affection for Yassir Arafat coupled with a blind hatred of the right. You can understand Uri Avnery, who passed away this week, any way you like—as an Israeli politician/journalist with an undaunted faith in the Palestinian Arab cause, or as the pioneer of Israeli sensationalist and pornographic journalism in his magazine HaOlam Hazeh which featured news, gossip and had nudes on the back cover. However you look at him, the only question that arises as you open his book 'My Friend, the Enemy' (1986) is which Avneri was meeting with Arafat in 1982. The answer is both. Avneri’s account of his encounters with arch-terrorist murderer Arafat begins with more than a small sense of infatuation. Avneri finally met the man he hoped would be a genuine partner in a dialogue for peace in the Middle East in Beirut in 1982. He describes the terrorist leader as tall, commanding the respect of his fellow soldiers, and beloved by the children who surrounded him (something like the “Robin Hood” T.V. theme of the 1950s – “cheered by the brave/loved by the good”). His first actions in the discussion were to jot down the PLO leader’s dictated “message of peace for peace-seeking Israelis,” along with Arafat’s “surprise” that Israelis do not know of his implicit acceptance of "peaceful compromise" with the Jews. Except that at the end of the sentence he said "in one state" i.e. the destruction of Israel as an independent entity. To laugh? to cry? Moments after Arafat completed his peace message, an incredible thing happened – the German camera crew that had transported Avneri across enemy lines sauntered into the PLO bunker. Avneri records that Arafat become a different man: his mood and speech metamorphosed before the camera. Uncompromising as ever, he called once more, clearly, for the destruction of the State of Israel. Avneri dispassionately notes Arafat’s metamorphosis. But what is striking is that Arafat’s call for a “final solution” to the Jewish problem in the Middle East does not seem to faze Avneri or disillusion him either with the Palestinian Arab cause or with Arafat himself. Arafat’s conciliatory, yet manipulative, tone on that occasion provides the background for this entirely misleading book. There are “heroes” – Arafat and the murdered PLO contacts to the Israeli Left, Issam Sartawi and Sami Hamami – and one tragic figure, Uri Avneri himself, who turns a blind eye and deaf ear to Arafat’s manipulations and lies. 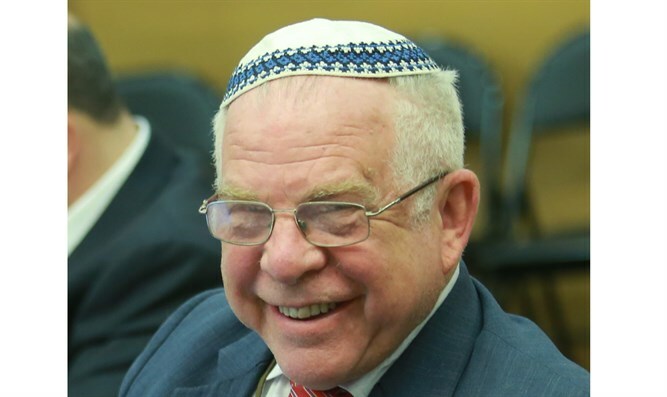 Throughout his long career, Uri Avneri always maintained a blind faith in a Jewish-Arab settlement that would recognize some kind of bi-nationalist partnership in Palestine. Finally given the chance to negotiate with PLO representatives who were willing to speak with him. Sartawi and Hamami, he grabbed it. Much of the book is taken up with their character development, the intrigue behind their meetings, and each of their untimely assassinations. But for all of Avneri’s passionate idealization of these PLO members throughout the book, he waits until page 235 to show that the PLO essentially abandoned both of them, since the PLO wouldn’t budge from its political covenant of demanding Israel’s annihilation. Avneri offers no theory for the fact that both Hamami and Sartawi may have been used as decoys. It now seems clear that these Palestinian Arab moderates who meet with Avneri disseminated an illusion of the PLO possibly changing its platform. It seems most likely that Sartawi and Hamami themselves deeply wanted the platform changed, and it was their sincerity that greatly influenced Avneri. Perhaps because of their “minority sincerity,” they had to be murdered - and they were. What is lacking this book is analysis. Avneri is quick to turn himself to an armchair Middle East historian, as he dramatically reports that Israel could have recognized the “Palestinian” entity as early as 1948, yet he overlooks that fact that no organized Palestinian Arab entity existed at the time, especially since they were then at the mercy of a hostile Jordanian conquest, and the Hashemite Kingdom had no interest in any recognition of a Palestinian Arab national identity. He neglects to mention that his projection of a developing nationalistic force among Palestinian Arabs in the 1950s matched the predictions of Israeli intelligence projections at the time. Nor does he make much mention of the suppressed state of Palestinian Arab nationalism in Judea-Samaria or Gaza under Jordanian and Egyptian rule, respectively from 1949 to 1967. Very late in this book, Avneri expresses his bitterness about the demise of his political party in 1981 and actually does slay the blame on the intransigence of the PLO. Based on his interview with Ariel Sharon in the summer of 1981, just after Sharon was installed as Defense Minister, Avneri had communicated to Arafat a warning of a Lebanese incursion. Arafat did not heed Avneri’s advice to go against his own PLO covenant and recognize Israel in some Sadat-like fashion. Avneri is so proud of his scoop interview with Sharon that he fails to mention the obvious possibility that Sharon and Begin used the interview with Avneri so as to communicate a “carrot on a stick” message to Arafat. It was Arafat’s choice to ignore Sharon’s warnings and, instead, to provoke an invasion. The effect of Avneri’s book is to fuel hatred of Israel, from Left and Right, as he appeals to the so-called humanitarian instincts of the world, with his couching of the Israeli-Arab dispute in terms of evil vs. good – respectively. He offers a glowing portrait of the PLO as a national liberation movement but offers no perspective of how a genuine liberation movement can advocate the wholesale extermination of its adversary, while actually making national holidays on the days that commemorate the PLO murder of Israeli children. Such is the case of May 15, a PLO national holiday “commemorating” the day of the 1974 PLO murder of 22 Israeli unarmed high school students in the Northern Israeli city of Maalot. The book in itself would be laughable if it were focused on the Israeli public alone, where the PLO's unchanged hardline position is well known. Avneri’s naivete would be the subject of another round of political punditry, and Avneri would once again be the target of local satire. However, the style and place of publication make this book quite serious, even seditious. Zed Publishers prints numerous propaganda pieces for the Arab nationalist cause.and once published a "puff" piece of Qadaffi. Avneri’s book would seem well-written, if you did not know that it is a projection of wishful thinking at best, and/or a Middlest East fairy-tale vision at worst. It is the first Israeli “puff” piece on the PLO, downplaying facts so as to glorify a movement dedicated to Israel’s disembodiment, providing a polemic in the hands of whoever would like to cut Israel down, whether on the Right or the Left of the political spectrum. Any uninformed reader of this title would automatically assume that all the Palestinian Arabs really want to do is to live in peace with Israel, if they are given the chance to do so, with a substantial sliver of historic Palestine under their rule. Avneri offers no explanation as to why as a real movement of national liberation, the PLO has failed to interrupt the flow of more than 300,000 Judea, Samaria, and Gaza workers to the Israeli economy, let alone even organize a single strike. Avneri is especially bitter about the Israeli presence in Judea and Samaria, making false and unsubstantiated charges concerning the “massive theft” of land from Arab inhabitants. Later, he fanned worldwide hatred of Jews living in Judea and Samaria and invented the idea of boycotting their products, an idea which was the basis of the BDS movement. Avneri offers little reportage on Jews living there except to call them “fascists,” or worse. Avneri would stoop so low. He did in his book and in much of the actions he took that caused damage to the Jewish State whose freedom of speech allowed him to do so..